Non-GMO ingredients have not been genetically modified. Non-GMO or GMO free ingredients do not contain altered genetic material transferred from one organism into another or between non-related species.1 GMO stands for genetically modified organism. GMOs contain DNA that has been altered in a way that does not occur naturally. 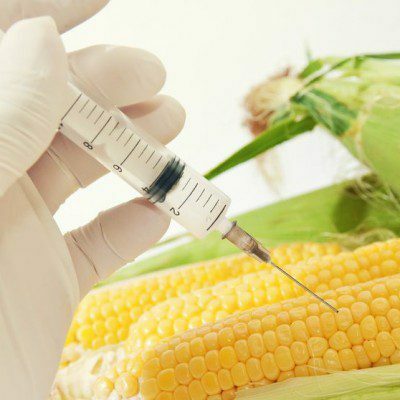 Through the use of genetic engineering (GE), gene technology, recombinant DNA technology, and modern biotechnology, GMO foods are on the market.1 Due to consumer concerns about the health and nutrition of GMOs food and ingredient manufacturers have labeled foods as non-GMOs. How are non-GMO ingredients certified? Step 1: Fill out an inquiry form. You will be prompted to submit basic information about your company and product on the Get Started page. We will answer any questions you have and provide all the information you need to begin the verification process. Step 2: Select a technical administrator. The Non-GMO Project works with four independent technical administrators to provide unbiased product evaluations. We encourage you to research each company to find the one that best meets your needs. Pricing and contact information for each technical administrator can be found on the technical administrators page. Step 3: Sign the Non-GMO Project license agreement. This agreement outlines use of the Non-GMO Project’s name and verification mark. There are separate trademarks and license agreements for the United States and Canada; if you plan to sell verified products in both countries, you will need to sign both licensing agreements. There are no fees associated with signing our license agreement. Step 4: Complete a product evaluation with your technical administrator. Once you sign a contract with your technical administrator, they will request the documents necessary to evaluate your ingredients and the manufacturing facility. If you have high-risk inputs in your product, GMO testing and an onsite inspection may be required–this will be determined by your technical administrator. Upon verification, the technical administrator will issue you a certificate of compliance. Step 5: Promote your verification. When you have completed the verification process, the Non-GMO Project will send you the verification mark and your products will be eligible for listing on the Non-GMO Project website and shopping app. We will also connect you with our Marketing team, who will work with you to promote your products through social media and other marketing channels. Your product verification will need to be renewed each year. Your technical administrator will request updated documentation reflecting changes since your initial evaluation. When bakers are switching to non-GMO ingredients, they may use organic ingredients. As stated by the USDA under the guidelines for the National Organic Program (NOP), 7 CFR § 205.105 of the NOP regulations prohibits the use of GMOs as excluded methods in organic production and handling.3 The use of GMOs is prohibited in all ingredients in “organic” and “made with organic (specified ingredients or food groups(s)).” When baking organic, bakers should also avoid known GMO ingredients, such as this approved GM crops list found here. “Q&A: Genetically Modified Food.” World Health Organization. World Health Organization, Mar. 2014. www.who.int/foodsafety/areas_work/food-technology/faq-genetically-modified-food/en/. Accessed 22 May 2017. Center for Food Safety and Applied Nutrition. “Labeling & Nutrition – Guidance for Industry: Voluntary Labeling Indicating Whether Foods Have or Have Not Been Derived from Genetically Engineered Plants.” U S Food and Drug Administration Home Page. Center for Food Safety and Applied Nutrition, Nov. 2015. www.fda.gov/Food/GuidanceRegulation/GuidancedocumentsRegulatoryInformation/LabelingNutrition/ucm059098.htm. Accessed 22 May 2017. “Verification FAQs.” Non-GMO Project. www.nongmoproject.org/product-verification/verification-faqs/. Accessed 22 May 2017. Huffman, Wallace. “Issues in GM and Non‐ GM Coexistence: A United States Perspective.” EuroChoices 15.1 (2016): 69-73.